Prior to the wedding usually the day before you must meet at the Church with the local Priest who will be preforming the wedding this is normal practice in the Catholic faith. It will help you recognize the strengths of your relationship, identify and discuss any weaknesses, give you new skills to help build a satisfying marriage. 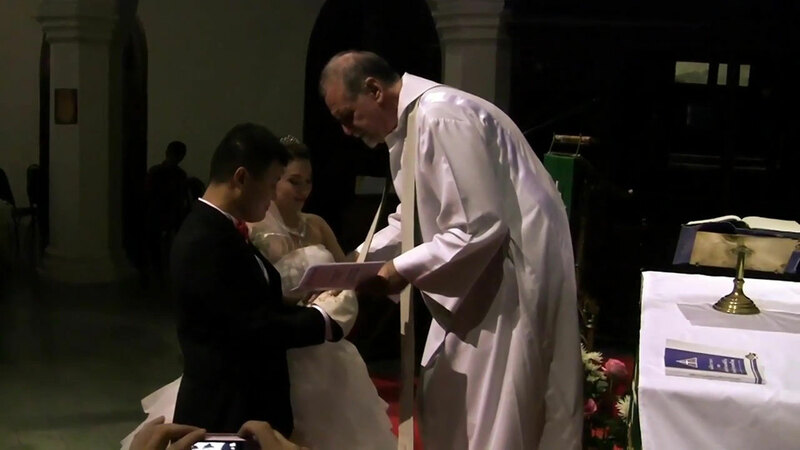 A letter of permission from your parish priest to the parish priest here in Thailand will be required, in order to get married this is usual proceedure here in Thailand. Prior to the ceremony you are able to choose readings, prayers and music of your choice in order to make your wedding day a very special one. There are also decisions to be made about how you would like to enter the church in the entrance procession, where you stand, how your family and friends will be taking part in the celebration, and so on, we are here to help you in those decisions, it is all part of our service. You will then proceed into the church where you will be greeted by the priest be seated and the ceremony begins.